NovaBACKUP offers secure data protection for medical and dental practices. We understand healthcare backup and are here to help YOU. While everything about the health care industry becomes increasingly complex, your computer backup software should be an instrument of efficiency. NovaBACKUP simplifies backup and recovery. 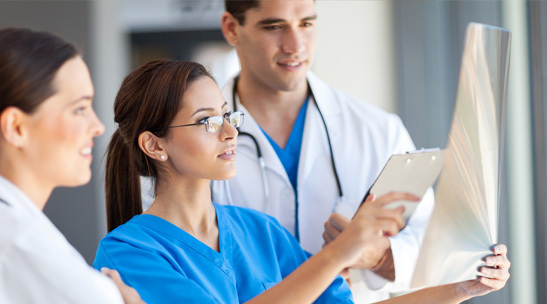 Our health data management solutions allow small medical and dental practices to keep health care data systems containing patients’ protected health information safe. Computer backup software is essential for the health care industry, and NovaStor is dedicated to delivering affordable, professional health care data services that comply with state and federal regulatory requirements. It's backup for the rest of us. NovaBACKUP offers secure protection of your patients’ private and confidential data with powerful-yet-simple health data management solutions. Backup, encryption, data retention, and recovery requirements are the backbone of HIPAA compliance. With NovaBACKUP health care data services, sensitive health data can be backed up, encrypted, retained, and stored according to regulatory requirements. Health care's #1 single-server backup solution. You will not find a more affordable, user-friendly, all-inclusive Windows Server and SQL Server backup solution available with our level of service and support. NovaBACKUP is the best single-server backup solution for Windows environments. 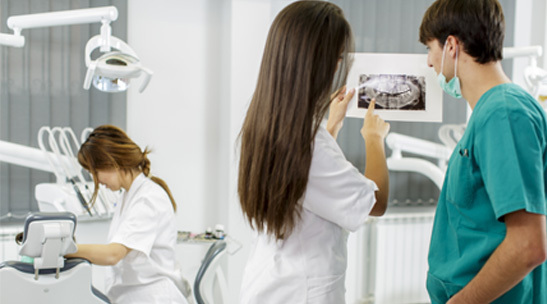 We offer several healthcare backup solutions to fit the needs of your practice. Fast, intuitive backups, scheduling and advanced backup options. With straight-forward backup job setup and scheduling processes, your protection begins immediately. No engineering degree and no IT support are required. Plus, with advanced backup options, we can help you tailor your backups to fit your practices' needs. Restore any file or files, regardless of when or where the files were backed up. With our patented time-slider technology, you can restore files from a specific point in time, even if you forgot which backup device you saved them to. Flexible data retention to meet regulatory demands. Gain control of your data retention. NovaBACKUP gives you flexible backup retention settings, allowing you to set exactly how long and how many backups to keep to meet your regulatory needs for data retention, while minimizing storage requirements. Free web-based monitoring console allows you to remotely monitor all of your NovaBACKUP licenses from a single pane of glass. Designed from the ground-up to meeting the backup monitoring needs of customers and partners. Works on all popular web browsers. Get one-on-one help from local NovaStor support experts and quick backup reporting. Free installation and setup assistance. From developing a backup plan and choosing a solution to installing it and scheduling your first backup, your practice can get expert help every step of the way. All NovaBACKUP Server, Business Essentials, and NAS solutions include one year of our industry-leading NovaCare support. That means your practice will have access to unlimited product updates, a vast library of helpful guides and documentation, and unlimited access to phone, email, and live chat help from our local, professional support engineers. Be in control and know where your backups stand at all times. Easy-to-read, detailed backup summary reports are delivered to your PC via email, or they can be printed. Track the status and health of your backup jobs as well as the amount of storage available on destination devices. Fast email setup for backup job notifications: Just enter your email address and you’re done! No configuration is needed. You can even set up different email notifications for different users. Always Microsoft-ready, with full Windows support. NovaBACKUP is always Microsoft-ready, and support for the latest OS comes standard — including Windows 10 and Server 2016. NovaBACKUP offers an unmatched combination of speed and security. Fast local and cloud backup in one solution. NovaBACKUP offers fast backup speeds for local and cloud backups. Get 2GB of free cloud storage space to get you started. Plus, get seamless support for file-sharing services like OneDrive for Business, so you can securely protect your most important data to your favorite cloud platform — just like you would to any other drive! 256-bit AES encryption for secure backups. NovaBACKUP guards your data with military-grade, 256-bit AES encryption, so your patients’ data is secured with the highest standard of security. Both file and image backups can be encrypted, so your backups always meet regulatory requirements. Full disaster recovery for hard drive failure protection. Hard drive crashes are a fact of life. But with Disaster Recovery, you always have an image backup of your system, from your operating system down to your email settings and preferences. And with the fastest restore process on the market, you and your data can get back to work helping your clients in no time. Get started protecting your patient data.